The whole town of Zermatt, and the Matter Valley, is dominated by the Matterhorn. It's hard to not look up at the gracious peak ALL THE TIME. Stage one is expected to start high. Really high at 2950m. Most of the trail isn't like this, instead with a lot of loose and open rock sections. The stage descends fast, onto dirt and some nice flowing sections. Stage two will be on a ski run. Fast, open and loose. 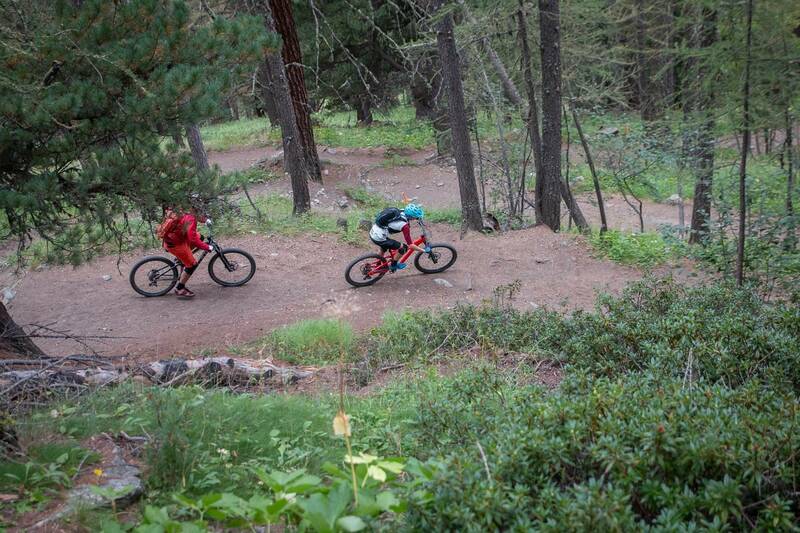 But afterwards riders are likely to be back in the forest on flowing trails as the next liaison. 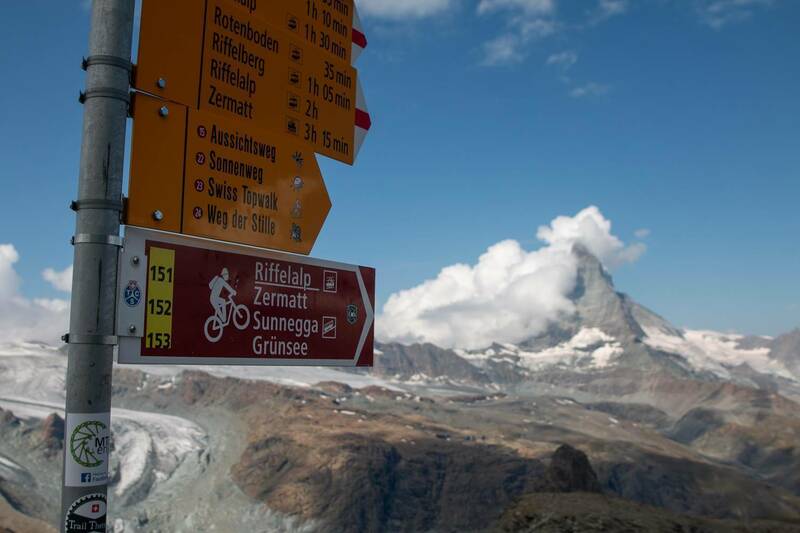 All routes are marked in Switzerland, but downloading Trailforks and taking a map is always a good idea. 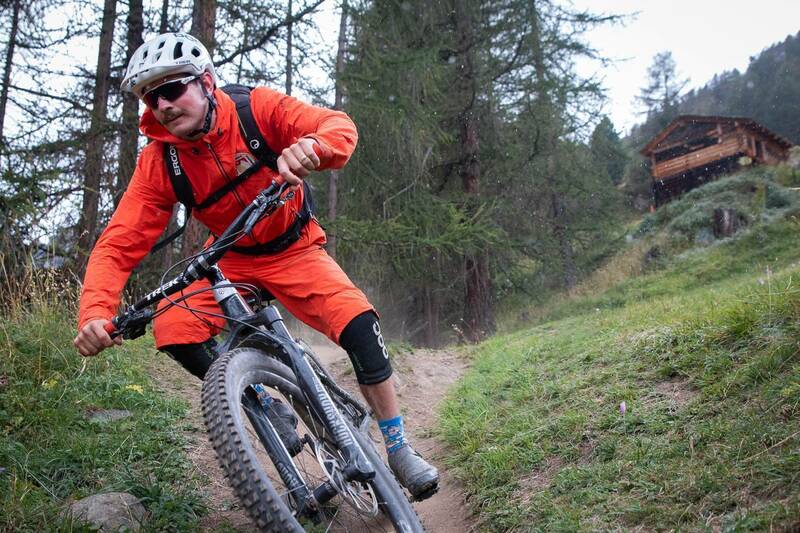 You don't have to ride trails suited to the EWS. There are some super chilled trails close to town. European trails are often compacted rock (not slabs) which helps keep them together in the wet. It was raining here but with tree cover and good grip we didn't even know. 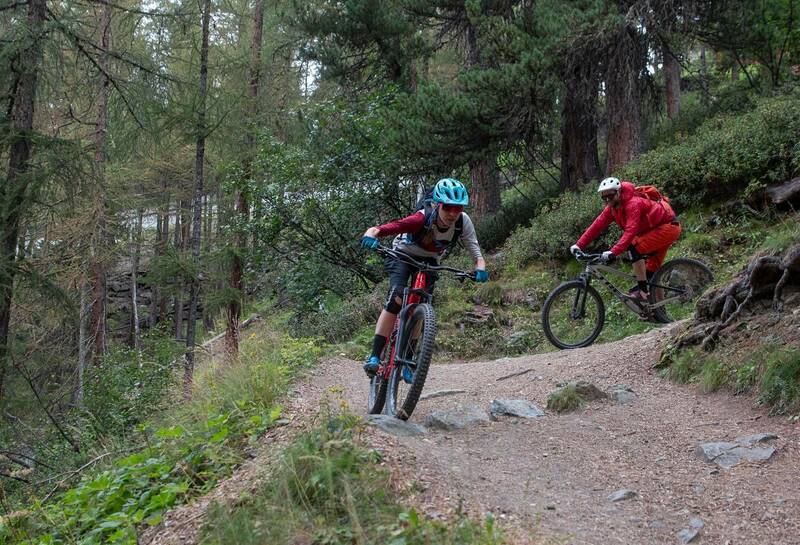 The Sunnega Flow trail is now open - and it is blindingly fast! You can catch a train to Gornergrat to start a huge descent. 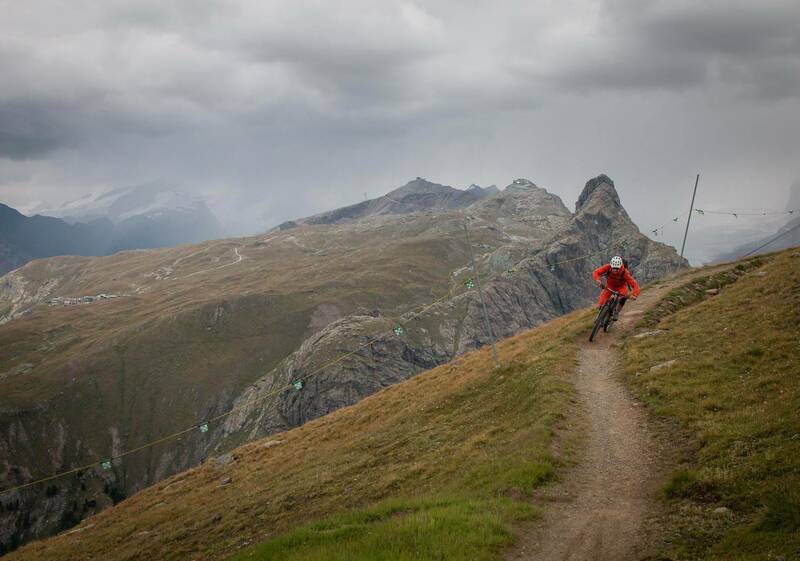 One EWS stage is likely to start just as high, at the Rothorn. If you haven't been to the Alps before, you need to reset your sense of scale. From rock, to meadows, to tree-lined trails. Expect everything. 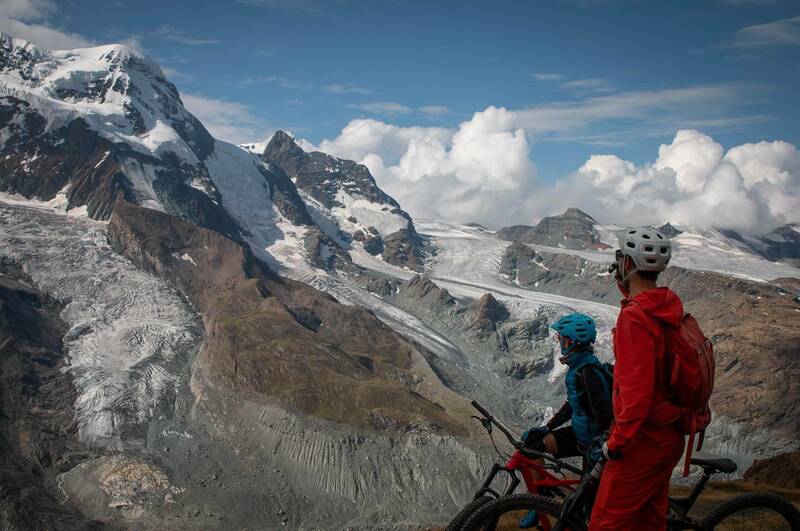 With the news that the EWS had found a new home for their final in Zermatt - we had to visit to see what lies ahead for 2019. 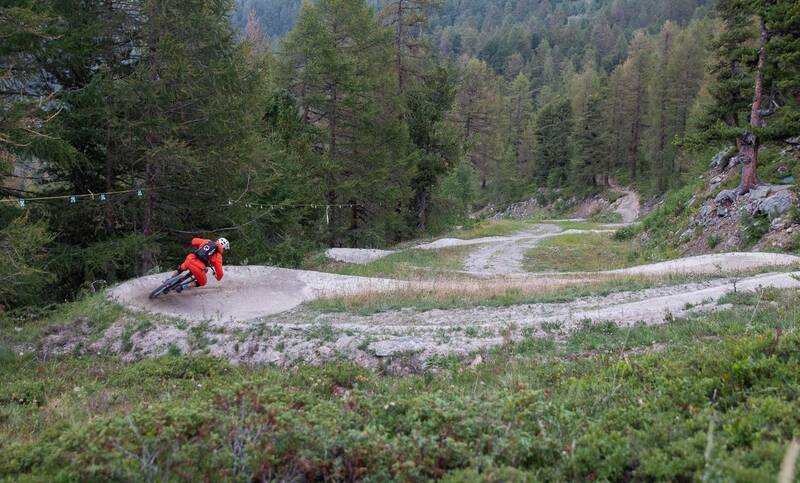 Earlier this year it was announced that the Enduro World Series (EWS) had found a new home for the final round for 2019. With Finale Ligure having hosted the final rounds with much success - the Italian town will now be hosting the Trophy of Nations in late September 2019. More riders, more party, by the sounds of it! 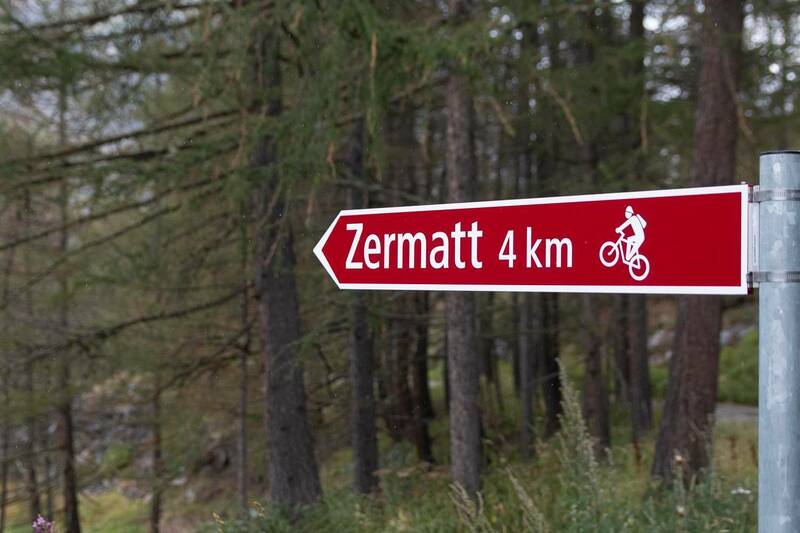 We have visited Zermatt before - twice actually - looking at the trails for the pages of AMB. The first visit in 2014 revealed raw trails, huge views, and valleys covered with mountain transport. The scale of the riding was hard to comprehend, with trails from over 3000m that connected to towns not even in sight, and as low as 400m. Visiting in August just gone, the changes on the slopes above this mountain town are impressive. 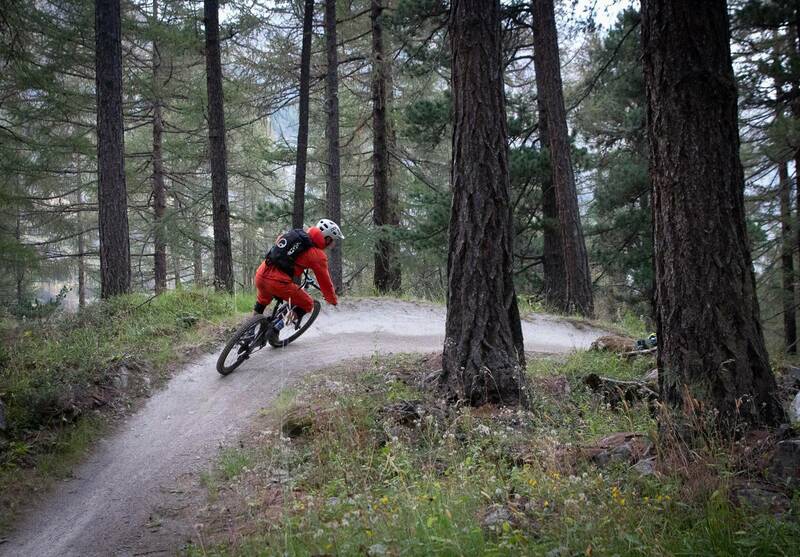 There are now two purpose-built flow trails, with a 3rd being built and plans for more. And you still have open access to 400km of trails already in place. 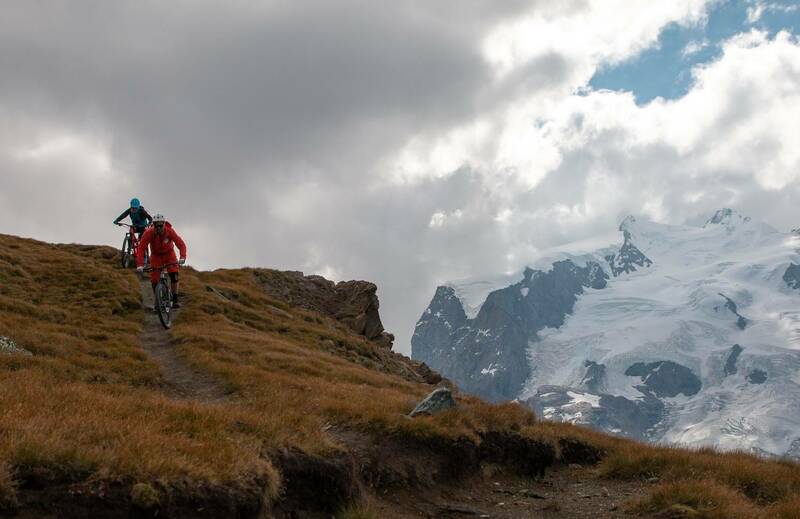 Trails that range from easy paths through to demanding natural trails right up close to huge mountains and glaciers. The trails pass from the high alpine, through the meadows and into the deep larch forests. 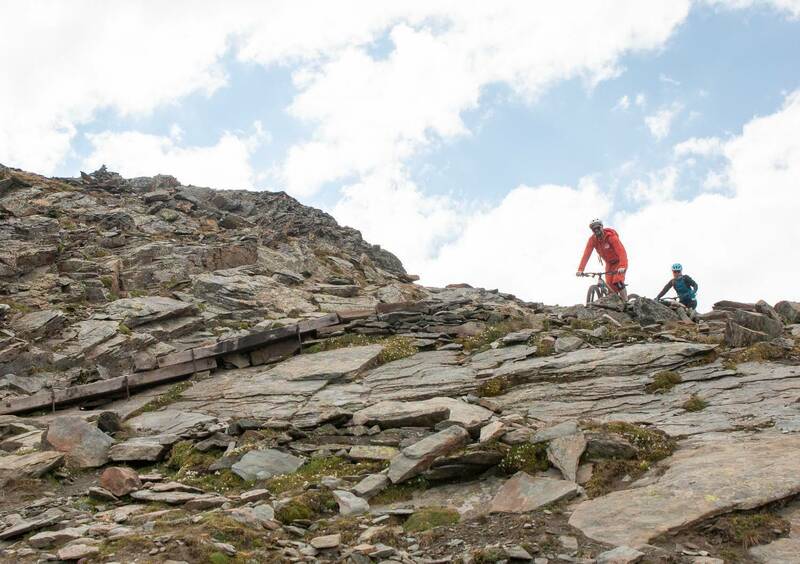 Nick and Adrian from Bike School Zermatt are instrumental in the event, and know the trails like the back of their hands. They showed is around for a couple of days and talked us through the plans. 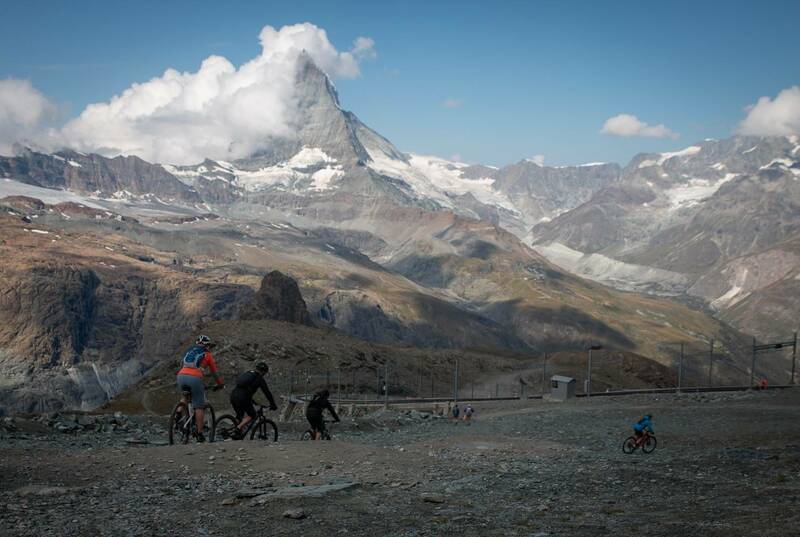 So far we hear there are 6 stages planned for 2019, relying heavily on the mountain transport in Zermatt - although one liaison is likely to involve a 500m vertical climb starting at 2500m. We rode a mix of trails that should feature, and spent some time on the flow trails which you'd be crazy not to ride on a visit - although they won't be part of the race. 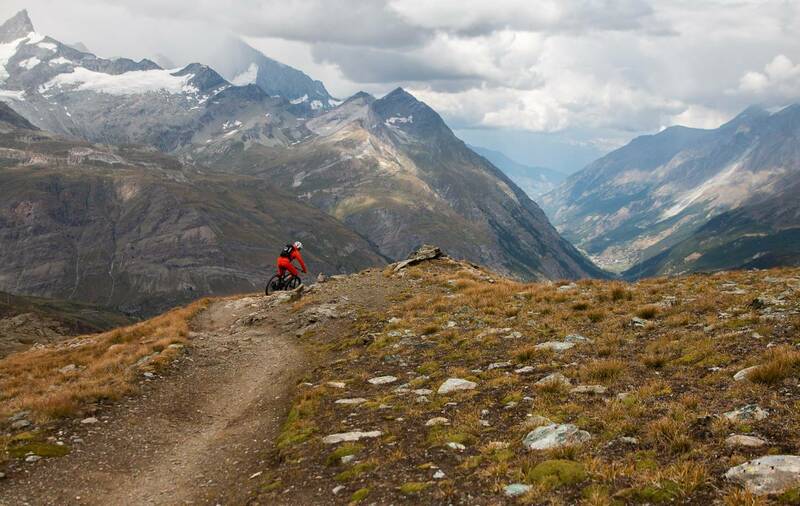 That is probably the best thing about the EWS in Zermatt - there are so many trails that you won't be so restricted if you're there to watch. The town is big, with great restaurants and mountain restaurants - and even with high mountain huts you could ride to to stay the night! 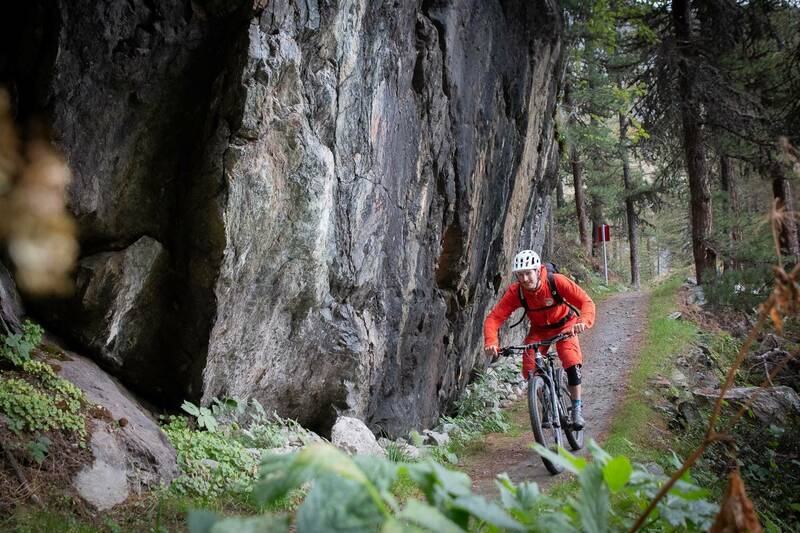 This is what will make the event so good - being not exclusively for the racers, but for any mountain biker who makes the trip to the car-free town in the Valais. 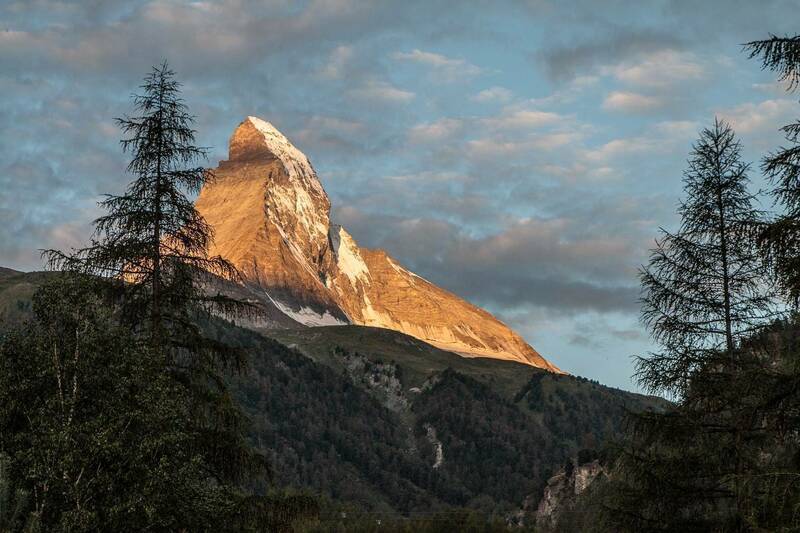 Stay tuned for our full feature on what's new in Zermatt in our first Alpine Issue for summer - out in December.